A good basic A3 scanner at a reasonable price. Delivered very quickly and it works fine. The supplied software is rather clunky. I deleted all but the drivers and now use it via my own graphics software. I don't use the buttons. 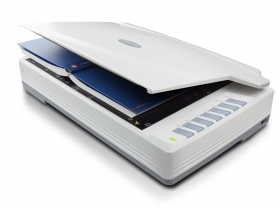 A3 Scanner for painting , photo , engineering drawings and Magazines. Plustek OpticPro A320L is a large format scanner that can scan up to 12” x 17” (304mm x 431 mm) document. You can scan the color mode, A3 and 300dpi document in just 7.8 seconds. It is ideal for graphic designers, publishing companies, libraries, schools, small office/home office (SOHO) users and anyone that needs to scan A3 sized graphics and documents.